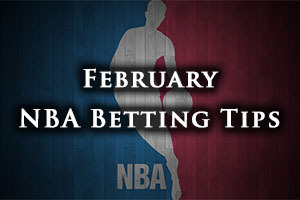 After the casual reintroduction that Thursday the 19th of February served up, Friday the 20th of February ensures that we are fully back into the swing of things in the NBA. If you have been missing the action in the past week, you have no excuses for not getting involved with the action and excitement on offer over the course of Friday and the weekend. There was a happy return for the Thunder who thoroughly dismantled the Mavericks on Thursday night. Oklahoma City Thunder won by a score of 104-89, outclassing Dallas at times in a strong display. There was also a home win in Los Angeles with the Clippers denying the reigning NBA champions the opportunity to get the second half of the regular season off to a flying start. This was a far closer game, with the Clippers running out 119-115 winners but it was a win that they just about deserved. These two games should have whetted your appetite for what is in store for the next few days and weeks in the NBA. With both of these teams flying high in the Eastern Conference, it is no surprise that neither the Hawks nor the Raptors made any moves to strengthen their squad before the deadline. The Haws currently hold their biggest home winning streak in 18 years and the Raptors are looking to grab their best record on the road since 2001/02. The Hawks had a tricky spell before the All-Star break, going 3-3 in their previous 6 games, but before that they had managed 19 wins on the bounce. All of those defeats happened on the road and the Hawks are likely to take great comfort from their home comforts on Friday night. The Raptors hold a 36-17 record going into this game and this includes a 15-8 record on the road. With an 8-2 record in their last 10 outings, the Raptors have every right to be confident about their current form and while they will be mindful of the strength of the Hawks, they should be looking to play their own game. The Hawks have a 43-11 record and this includes a 25-3 record at home. Their last ten games offer up a record of 7-3 and they lost their last outing before the break. With respect to average points scored, the Raptors have the edge, holding 105.6 to 103.4 and for average points allowed, the Hawks hold the edge with 96.8 to 100.7. There are no injury concerns for either team and taking the Hawks, with a -5 handicap, at odds of 1.90, is likely to be a safe bet heading into this game. Bet Now! There has been a big change for the Timberwolves, the worst team in the Western Conference, as they welcomed Kevin Garnett back to the fold after they sent Thaddeus Young off to Brooklyn before the trade deadline. Garnett isn’t expected to be available on Thursday night but the return of the player is likely to cause some excitement in the Minnesota camp, hopefully sparking them into life this season. The Suns hold a 29-25 record which includes a 13-14 record on the road this season. They have lost their last two games while they hold a 3-7 record in the last 10 games. The Timberwolves hold an 11-42 record this season, which contains a 6-21 record at home. The Timberwolves have also lost their last two games at home and in their ten most recent games, they hold a 4-6 record. For average points scored, the Suns lead with a record of 105.9 compared to a 97.5 while they also lead on the average points allowed, with a an average of 104.7 compared to 106.1. The Suns are likely to be without Alex Len while Garnett and Shabazz Muhammad are doubts for the team from Minnesota. For this game, you have to fancy the Suns and with a +2.5 handicap, at odds of 1.90, they should provide you with plenty of incentive for Friday night betting. Bet Now! The Cavs weren’t too fussed about trading before the deadline, they clearly believe that they did all of their business last summer, and it is easy to see why. 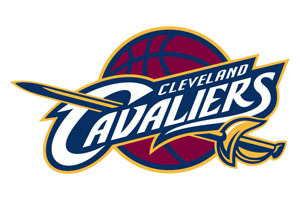 The Cavaliers are far from being the team that they want to be but considering the upheaval and changes, it is probably better that they try and achieve further improvements with the squad that they have available to them as opposed to pushing for more players. With the team aiming for 15 wins out of 17 this Friday night, they clearly are on the right path in some way, but the Washington Wizards will put up fierce opposition. Both teams have won 33 games this campaign with the Cavaliers holding a 33-22 record (with a 12-13 record on the road) while the Wizards hold a 33-21 record (with a 20-8 record at home). Both teams also lost their last game before the All-Stars break but there is a massive difference between their record in the last 10 games. The Cavaliers hold an 8-2 record in their 10 most recent games while the Wizards hold a 4-6 record in these games. With respect to average points scored, the Cavs have the advantage, having scored an average of 102.2 to 99.7 while the Wizards hold a slight edge when it comes to average points allowed, having given up 97.3 compared to 99.3. The Cavaliers don’t have any injury concerns going into this game but the Wizards are likely to be without Bradley Beal while Kris Humphries is being closely monitored. This match could go either way but you fancy the Cavaliers to push on in this half of the campaign and taking them with a -3 handicap, at odds of 1.90, is likely to be a sensible bet. Bet Now!